Trump lied about Puerto Rico's death toll after Hurricane Maria. But island officials enabled that behavior. The local government clearly felt it had to cozy up to the president for funds to rebuild. This is the inevitable result. President Trump is finally feeling the pressure for never formally acknowledging the fact — yes, despite his tweets, the fact — that the number of people who died as a result of Hurricane Maria and its aftereffects was never just the 16 lives, a number about which he so proudly bragged about last October in San Juan. But his tweets on Thursday morning essentially rejecting the local government’s official death count of 2,975 lives and blaming Democrats, with no evidence, for inflating the numbers are the most insulting and shameful comments about Puerto Ricans since Maria destroyed the island last September. The reality is that an independent study commissioned by the Puerto Rican government concluded that close to 3,000 people died due to both the direct impact from and aftermath of Maria — an estimate corroborated previously by other academic studies and reporting from journalists. Somehow, though, the president of the United States lacks any empathy or compassion, or perhaps the ability to pay the tiniest bit of tribute to those dead Americans in Puerto Rico whose existence is only just now being acknowledged. In the eyes of Donald Trump, do Puerto Rican lives matter? No. One does not have to look that far to understand why Trump has continued to lie about Puerto Rico. He can claim that billions were sent to the island for help, but he won't admit that his own federal agencies never responded quickly enough to the storm. The feds messed up, and a poll of Puerto Ricans from the Washington Post and the Kaiser Foundation released this week confirms that the people affected by their response know it. OpinionPuerto Ricans knew the official Hurricane Maria death toll was fake. We saw too many dead to believe it. But the bigger problem is not Trump: It is the enablers from Puerto Rico who until now never challenged Trump’s dismissive views towards the situation in Puerto Rico. At the top of that list is Puerto Rico governor Ricardo Rosselló who, when given the opportunity to set the record straight about Trump’s low death count bragging last October, never took it. This past week, he did finally push back a bit on Trump and, on Thursday, he responded directly to the president's tweets in a Facebook Live video and then an official statement, saying "People in Puerto Rico don’t deserve to have their pain questioned." Then there was Puerto Rico Secretary of State and lieutenant governor Luis Rivera Marín, who embarrassingly refused to answer a question about Trump’s supposed success in the Puerto Rican recovery efforts during a CNN interview this week. “The magnitude of this event, probably, the numbers, if we have not gotten this report from the federal government, this report of thousands of volunteers from the main island that came down to the island right after the hurricane, this would have been a different story regarding the death toll,” Rivera Marín said. Within the Rosselló administration, there was clearly a decision made to try and work with Trump, with the apparent idea that doing so was the best way to get federal funding. But, in the end, the funds they got were far less than the $90 billion Rosselló asked for last year. Those with the administration felt that challenging Trump would lead to nowhere so, like good colonial subjects, Rosselló and his administration have treated Trump with kid gloves, even when they criticized him. Instead of using flattery to control the president, Puerto Rican politicians let Trump control them — and from the looks of it, Trump's base is reveling in it. Most Trumpistas, when they think about Puerto Rico at all, will quickly allege that corruption within the government of Puerto Rico led to where the island is now close to one year after Maria. And, since the real death toll was revealed, have repeatedly insisted that it was designed to smear the president. 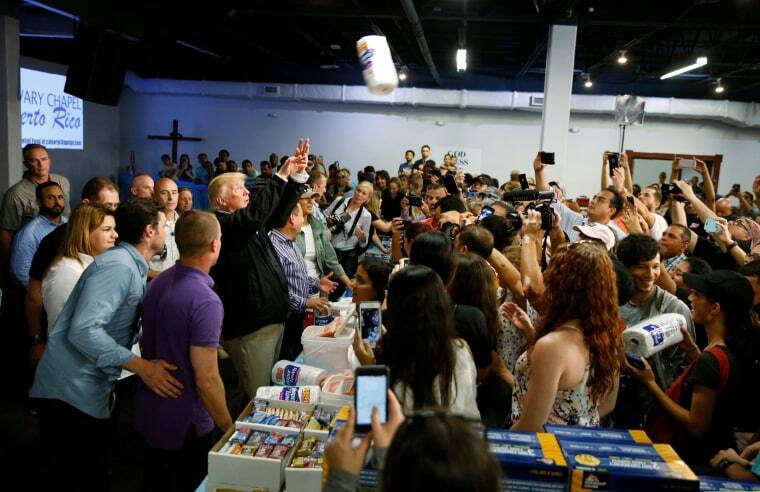 But none of the challenges and issues faced by Puerto Rican leaders or mainland midterm politicking should detract from the reality that the close to 3,000 Puerto Ricans died as a result of Hurricane Maria. It should not detract from the fact that President Trump has shown no empathy or compassion about these American victims. It should not detract from the fact that people on the island are still trying to recover and move on, or that the “new normal” has been excruciatingly painful. When this storm hit the island last year, every Puerto Rican knew that this was the worst natural disaster in the island’s modern history. We knew because we were trading stories with each other, about the destruction we didn't see on television and the deaths that no one seemed to want to acknowledge. The government of Puerto Rico knew, too, even though it didn't want to admit how bad it really was. That critical political mistake by the Rosselló administration will forever haunt him: By never really challenging Trump’s wild lies about the island's “excellent” recovery — the way that San Juan mayor Carmen Yulín Cruz repeatedly did, earning her Trump's ire — Rosselló allowed for Trump to spin a wild narrative to mainland Republicans that is laughably far from reality. Enabling a liar like Trump also makes you a liar — and any Puerto Rican who dares defend Trump’s newest tweets is part of the problem plaguing Puerto Rico, not the solution.